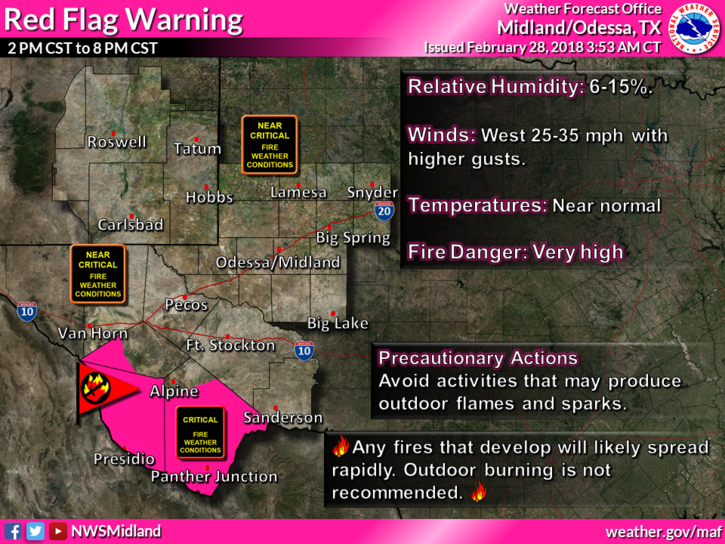 Winds up to 65 miles per hour are expected across parts of West Texas today. (Photo courtesy of National Weather Service). Strong winds are picking up this afternoon across West Texas. In parts of the region, gusts will reach as high 65 miles per hour. The high winds are causing several warnings in the area. 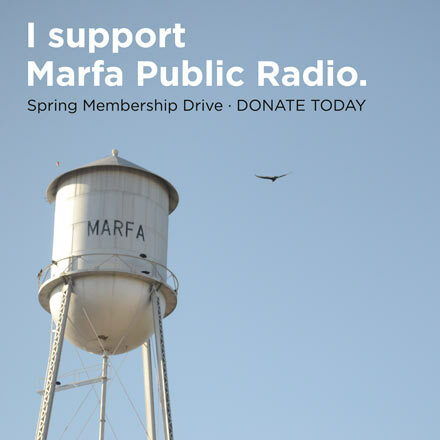 Until 8 tonight, the National Weather Service has issued a red flag warning for the Marfa Plateau, Presidio Valley, and the Big Bend Area. Phillipson says people in these areas should avoid activities that may cause flames or sparks. 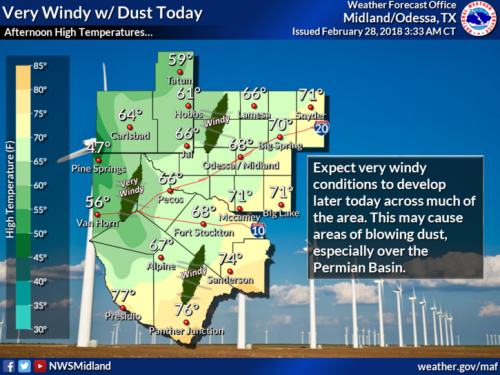 In other parts of West Texas — like in Van Horn and near the Guadalupe mountains — high winds will reach up to 65 miles per hour. The National Weather Service says this will lead to blowing dust in the region and cause problems for motorists. “One of the biggest concerns is those driving high-profile vehicles,” says Phillipson. “A lot of the times those are more susceptible to getting rolled over by the wind. Like semi-trucks, or tractor trailers. Windy conditions will continue overnight, but winds won’t be as high as they are this afternoon and evening. This entry was posted in KRTS News, KXWT News and tagged Advisory, Weather, West Texas. Bookmark the permalink.